Whether you want to start a new business, have recently formed a new business, or are a seasoned business professional , First Financial of Baton Rouge, LLC can help you become more successful. We offer Business Consulting Services, QuickBooks Training Sessions, Tax Preparation and all-inclusive Monthly Accounting Services. Every business is not equipped to tackle the challenges of the financial aspect of the company, as they lack the skill and the required expertise to make it work. Most require the assistance and support of global business consulting firms which offer an extensive portfolio of services, for the express support of worried business owners. From a cheap tax preparation fee schedule, to preparing financial statements and professional accounting services, a small business accounting service provider proves to be the assistance that newly established businesses are looking for. If you want to avail the benefits of the best tax preparation services, then it is essential to opt for the support of a professional company which also offers online training classes, while handling all your financial operations competently without any hassle. Please take a look at our services to learn more about how we can help. 2. What is the root cause of the problem? 3. How much is that problem costing you? 4. How is it affecting present or future profit? 5. How long will it take to correct the issue? 6. What can you do to permanently fix it? The total cost of this study is only $1,500. There are no hidden fees and no additional obligations on your part. Our goal is once you see the depth of knowledge, you will feel confident calling on us when you need us. Every First Financial Analytical Business Physical provides an examination of 5(five) key areas of your business. We find that business owners treat profit as what is left over after expenses are deducted from sales. There are no budgets or profit forecasting. There is no formula of predetermined profit measured against any level of sales. Profit advice is nonexistent from in house bookkeepers or from the company’s CPA or chartered accountant. In short, the business owners are left in the dark to fend for themselves when it comes to their fiduciary responsibility to maximize profits in their business. The First Financial physical is an important vehicle to study the profit history of a business. More especially, it will calculate what the profit potential of the business should be if it were to operate at its optimal levels. For the first time, a business owner will get a clear look at how much they are leaving on the table every year without profit controls in place. This lost profit potential is typically a shock to our clients. This portion of the physical is certainly on its own worth $1,500, but every survey does much more! For Most companies, payroll represents the largest or second largest single expense line item on the P&L statement. The majority of firms we survey operate at below acceptable levels of employee productivity. This translates into thousands of lost profit dollars a year. Employee productivity has many components, skill sets, punctuality, training & morale. Deficiencies in any one of these components will adversely impact profits of your firm. What does employee turnover really cost you? The First Financial Analyst will examine each of the elements of employee productivity and place a value based upon substandard employee productivity. In most instances, internal resources cannot look objectively at employee productivity because they are usually too close to the source. That is exactly why a survey can measure employee productivity and calculate a close estimate of increased profits through increases in employee productivity. If a business owner were suddenly to become incapacitated for health or other reasons, what resources are left behind for subordinates to run the business in a manner acceptable to the owner? Many firms lack a formal business plan and have no job descriptions or a system of job evaluations. There are no inventory control manuals or credit & collection policies stated in writing. In short, the vital functions of the business have little or no documentation. This would be similar to a head football coach sending their team onto the field without a game plan. Can there be a cost associated with the lack of documentation? The answer is most certainly yes! This translates into higher labor costs, and write-offs attributed to poor collections. Your Analyst will carefully examine all elements of the business that should require documentation and put a value on the cost of not having proper written procedures. Many business owners arrive at their office on January 2nd, after suffering a disappointing previous year in terms of sales, with little to no advanced planning on how to make the New Year better. What they did yesterday, last week or last month is how sales activities are directed in the New Year. No business can reach acceptable levels of profit without positive sales trends. It is therefore essential that every business has a detailed Sales Plan that undergoes periodic review and adjustment as market conditions change. Your Analyst will carefully review sales trends in your business and determine the overall efficiency of your sales department. For many owners, this can be the first outside valuation of the effectiveness of this vital function. One of the best methods to determine the overall effectiveness of the Administration function of a business is to apply the following test: the business owner suddenly and without warning is taken out of the business and for six months and can have absolutely no contact with the firm. The resulting question is, will there be a business to come back to? Will the business operate at peak level of performance without the President? Are the staff members fully trained to step into the President’s shoes and operate efficiently? Will sales and profits remain the same? No embezzlement or theft? In a well-run business, the answers to these questions would be affirmative. However, can you as a business owner feel 100% comfortable today that your answers would all be positive? Your Analyst will carefully examine your Administrative functions and apply the above tests to your firm. It is very difficult to correct a problem without first knowing that it exists, and more importantly, what’s causing it and how much lost profits are affected by these deficiencies. 1. Do you utilize Sweep Accounts? 2. How much money do you have in your Funded Depreciation Account? 3. Are you the right corporate structure or did your accountant just tell you what type to be? Hint: According to the IRS 87% of businesses are the wrong structure. 5. Do you have a bound employee handbook? 6. Do you have written, followed budget? 7. If you (and your spouse or other partners) could not communicate with the business for 6 months, where would it be when you returned? 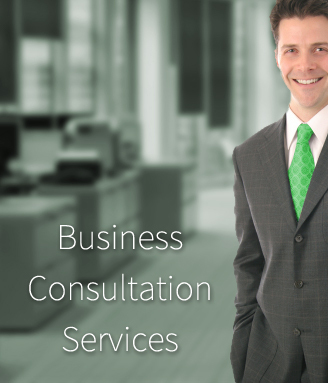 Are you intruiged by what our Business Consulting services could do for your business? Feel free to contact us anytime using the form at the bottom of this page or by calling 225-663-2382. 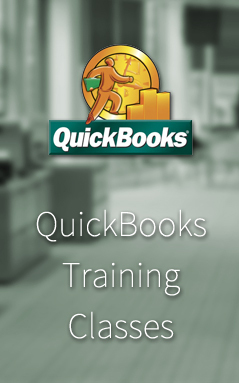 Our QuickBooks training class is a 6.5 hour interactive session that gives you the knowledge and experience you need to operate Intuit QuickBooks in the most efficient way for your business! If you have 50 transactions or less per month, we will maintain and prepare your financial statements for you on a cash basis of accounting from your bank statements and check stubs for $150 per month. What do you get for this fee? If First Financial of Baton Rouge, LLC maintains your records for the entire calendar year, we will also prepare your corporate return for the business at no additional charge!!! First Financial of Baton Rouge, LLC has been in business since 2006 and enjoys an A+ rating with the Better Business Bureau with a zero complaint history. Below is a chart for businesses with more transactions per month. The following are Tax preparation fees for First Financial of Baton Rouge, LLC as of January 1, 2014. Prices include preparation of Federal and State returns. 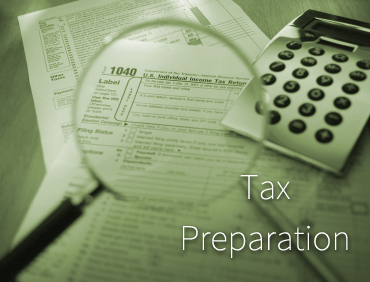 They are meant to be a guideline and fees may vary based on individual tax situations. *There is an additional charge of $ 49.95 to e-file (includes both state & federal). In addition to the above, the following forms add the amounts indicated below. The amounts below assume some organization on the taxpayers behalf. Poorly organized records may increase preparation time to be charged at an hourly rate. –All prices are estimates and subject to change at any time. Some prices will vary based on the amount of information presented and the level of organization of information presented. Want to inquire about Business Consulting or other services? Feel free to call or email us at any time. We are here to give you the answers that you and your business may need. You will hear from us promptly.